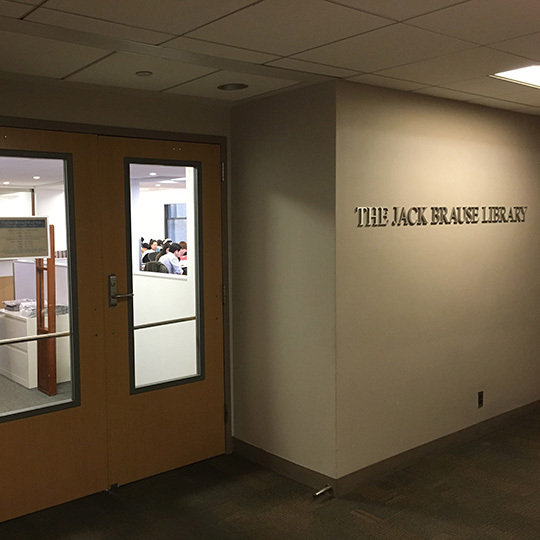 The Jack Brause Library is located at the NYU Midtown Center, which is home to many graduate programs within the School of Professional Studies (SPS). (opens in a new window) Access is available for NYU students, faculty and staff to the e-resources and select services available via NYU Libraries as well as access to a unique collection of electronic and print resources that support the SPS Schack Institute of Real Estate. Brause Library’s spaces include the reading room, 2 group study rooms, and the Brause Family Learning Commons. Find out about upcoming programs, events, and resources.